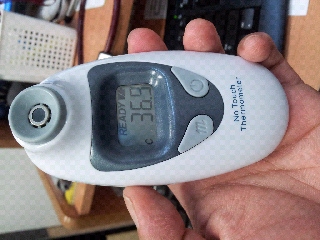 I have been using this no touch IR thermometer. Useful in a gp setting as you don't have to change probe covers. Tympanic temperature is probably more accurate but it is a good screening method for normal cough and colds.